Okay, as far as blog posts go this is a bit of a cheat. This is from an email I wrote a few months ago to a charming sixth grader who emailed me and asked for writing advice. I found this a very interesting assignment, and gave it some thought (see me in the photo, I’m thinking, thinking). This was my response. Let me know if there’s anything that I should have added. So my first advice (and probably most important): don’t stop! important as time goes on. I’m sure you already know this, but reading is incredibly important. ahead of the game — most aspiring writers don’t read nearly enough. first draft is lousy — the first draft is just about getting it down. travel, psychology, vampires — whatever interests and excites you. Cultivate a deep curiosity about the world. Learn about people. art). You are an artist *and* a businesswoman. The most important thing is to have a fresh and distinctive ‘voice’. mash-up of influences. Take chances. Be bold! and it gives you life experience and stuff to write *about*. make some good friends that way. Brava on your excellent, empowering advice to that young writer! I know a few not-so-young writers (not just aspiring writers, either) who could benefit from your wise words, too. Having met David Morrell at a writer’s conference a few years back, I was amazed at how nice and personable he was. And it still shocked me that he returned my email after I read his book on writing. I’m sure a 6th grader will be stoked beyond belief to have gotten such a note from you. Kudos… and I agree with the above. The advice applies to us not-so-young aspiring writers as well! There’s a lot of good tips for Songwriters & Composers in your e-mail advice. Thanks ! Yes, yes yes! All important advice, and directions that all writers should follow, as you know. The only comment I was waiting for, which I didn’t read here but you’ve taught in the past was, DON’T BE AFRAID TO LET YOUR FEELINGS OUT. And then dig deeper by asking, why am I feeling this way? I suspect twelve year old writers have matured enough where discovery on this level can happen. If not, perhaps in another year or two. Incidentally, I wish more “adults” followed this counsel! This is where the Internet has changed everything. Yes, in the past we could write letters c/o the publisher and hope to make contact but not like this. The one thing I pined for when I was a newbie poet was contact with other people who were doing it but I lived in a wee town where you just didn’t go round telling people you were a writer. The first thing I felt when I made contact with other writers was a sense of having come home. I was among people who didn’t think what I did was strange who did accept that I got out of bed in the middle of the night to write and would’ve found it unforgivable if I didn’t. I may have received no encouragement growing up but I see no reason to make others tough it out. What a kind thing you’ve done — taking time out to send such a thoughtful letter to an aspiring young writer. Kudos to you. I can’t think of anything I’d have added, other than to be sure not only to read, but to read diverse genres, not only the favorite things, but things that will stretch her (poetry, memoir, comics, flash fiction, etc.). 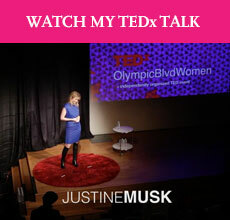 Great job, Justine. Like the other readers here mentioned, I wish I’d had access to your advice at a young age. Your advice is good not just for young writers but all writers. You covered a lot of stuff. I like the part about paying attention to how the industry is changing and learning social media and self branding. Thanks for sharing your advice. Aaaw I wish I’d had somebody like you writing me a letter like that. Or sitting down and talking to me. I had teachers who encouraged me. But nobody who had been there. It is isolating, that’s for sure. wow, what an inspiring and empowering response! this will serve as a wonderful resource to this young person.